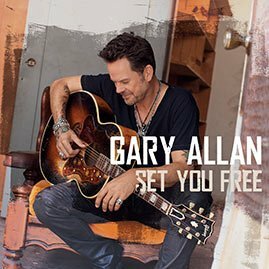 Gary Allan and his band members may have new guitars, but they’re not happy about it. The singer and his crew lost all their equipment in the tornado that hit the Big Valley Jamboree in Alberta, Canada on Aug. 1. In the meantime, Gary and his band kick off the Get Off on the Pain Tour in Chicago on Oct. 14. Many of the dates will be at House of Blues clubs and the singer says he’s stoked to get back to the more intimate setting. Jack Ingram, The Eli Young Band, Stoney LaRue and Justin Moore will alternate performances on the tour. Gary named the trek after the title of his new album, which he says he just turned in to his record label. ‘Get Off on the Pain’ is expected to be released by the end of the year.